jazz@uucss is a collaboration between the UUCSS Music Committee and jazz scholar, Bertrand Uberall. Our vision is to create an affordable, listener-friendly performance venue for jazz in the DC area, create new audiences for outstanding young jazz musicians, and foster connections between UUCSS and the local jazz community. We’ll be celebrating the music of Herbie Nichols on the centennial of his birth. Dan Roberts on piano, Tom Baldwin on bass, Matvei Sigalov on violin, and Dave Sanders on guitar. 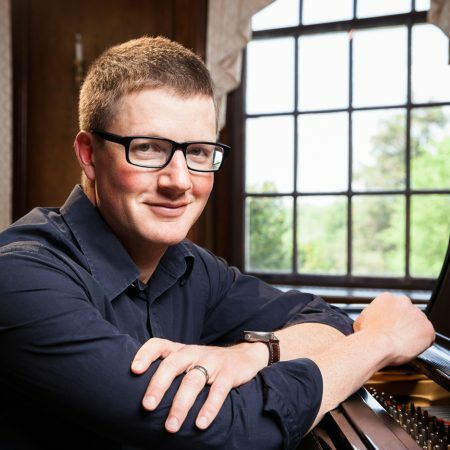 Dan Roberts is a pianist, arranger, and composer living in Washington, DC. He has performed with his own groups and as a sideman at many of the top jazz venues in the area, from Blues Alley to Bohemian Caverns to the Strathmore (where he was a mentor in the Artist in Residence Program) to the Kennedy Center, and he has shared the stage with nationally and internationally celebrated jazz artists such as Matt Wilson, Maria Schneider, Steve Wilson, Gary Smulyan, Ted Brown, Christian Howes, Warren Wolf, and Joel Frahm. His original compositions and arrangements have been premiered by such groups as the Bohemian Caverns Jazz Orchestra, the US Army Blues Jazz Ensemble, and the Pershing’s Own Contemporary Music Ensemble. 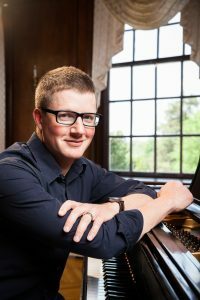 He has recorded two albums: “Yoshimisongs,” featuring a jazz piano trio reinterpretation of the Flaming Lips record “Yoshimi Battles the Pink Robots,” and “Can’t Not,“ a rock-influenced collection of instrumental originals. Herbie Nichols (born 1/3/19 in NYC) was a highly original piano stylist and composer who labored in the shadows during his life but developed a cult following after his death. In 1938, during late-night jams at Monroe’s Uptown House and Minton’s, he crossed paths with Dizzy Gillespie and Thelonious Monk. In 1939, Herbie began sending in music for copyright and was drafted into the Army. Four years later, he began writing for the Music Dial, including one of the first articles on Monk. In 1951, Herbie met pianist Mary Lou Williams, who recorded several of his compositions. He was “hired to play Dixieland and rhythm and blues gigs, with few opportunities to play in the “modern’ idiom. Herbie recorded as a leader for Blue Note in May of 1955 with drummer Art Blakey, and again in August and the following April with drummer Max Roach. Although these recordings received little notice at the time, they are now recognized for their importance by many generations of musicians. In 1956, Billie Holiday recorded his composition “Serenade” as “Lady Sings the Blues”’ with her own lyrics. Herbie recorded for Bethlehem in November 1957. In early 1960 he met trombonist Roswell Rudd, who would be his greatest champion. Herbie Nichols died of leukemia on April 12, 1963. Although Herbie Nichols received little notice in his lifetime, we are now aware of the incredible number of compositions he wrote and was never able to record, many of which he deposited at the Library of Congress. Through the efforts of Roswell Rudd, bassist Buell Neidlinger, and pianist Misha Mengelberg, as well as pianist Frank Kimbrough, bassist Ben Allison, and trumpeter Ron Horton of the Herbie Nichols project, his music is being kept alive and new generations of jazz enthusiasts are coming to realize just how innovative Herbie Nichols really was. There is still much music to explore!